In all periods of time, there is a perceived shortage of qualified, credible, and robust leadership skills. At the same time, what is regarded as skilled leadership is contingent on economic, political, institutional, and cultural conditions specific for a period of time or a local setting. Leadership in the era of managerial capitalism was focused on planning and administration, and was seated in large-scale, divisionalized corporations. In the 1970s, this economic model started to wane and leadership was advanced as the solution to a series of economic and social concerns, now being a matter of meaning-making in the face of uncertainty and ambiguity. With the expansion of the finance industry and the deregulation of finance markets in the 1990s and in the new millennium, yet another leadership model increasingly prioritized economic value creation. 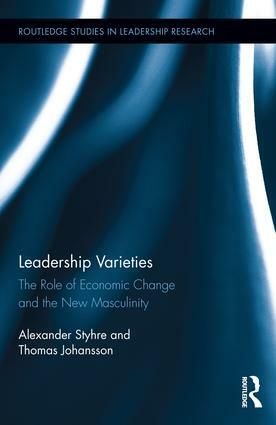 In parallel to the economic, political and institutional changes, the idea of leadership has been strongly informed by new ideas about individualism and masculinity, adding to the understanding of leadership as what is anchored in widespread social beliefs about for example healthy life styles, the virtues of physical exercise, and novel gender relations. Aimed at scholars, researchers, students and policy makers in the fields of Leadership, Management History and Organizational Theory; Leadership Varieties examines predominant ideas about the qualities and virtues of leadership in a historical and cultural perspective. 1. Introduction: On the Question of the Primacy of Leadership 2. The Ancien Régime Leader: The Corporate Manager 3. The Decline of Collectivism and the New Masculinity Discourse 4. The New Generation of Leaders: The Charismatic Leader 5. Leadership Work in the New Millennium: The Financialized Leader 6. What is the Future of Leadership? Alexander Styhre is Chair of Organization and Management, School of Business, Economics, and Law at the University of Gothenburg, Sweden. Thomas Johansson is Chair of Pedagogy and Child and Youth Studies, Department of Education, Communication and Learning at the University of Gothenburg, Sweden.